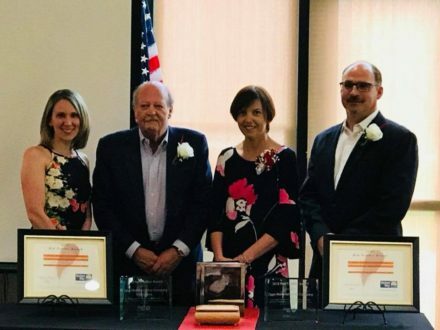 The George G. Blaisdell Community Service Award recognizes one or more individuals, businesses, or organizations in Bradford and the surrounding community for continual commitment to the improvement of the community. 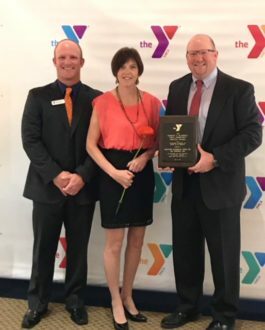 This year, Bradford Ecumenical Home, Inc. was proud to receive this award for their dedication to the area’s aging population and their continued partnerships with many other organizations in the area. Congratulations to Red Feather Award Recipients! The United Way held its annual recognition luncheon today at the University of Pittsburgh at Bradford. Congratulations to Zippo Manufacturing Company and its employees and to Lisa Johnson, CEO of Bradford Ecumenical Home, Inc. Thank you to Mandi Davis, Sonja Bacha and the United Way staff and Board of Directors for a wonderful luncheon.